Time really flies so fast! 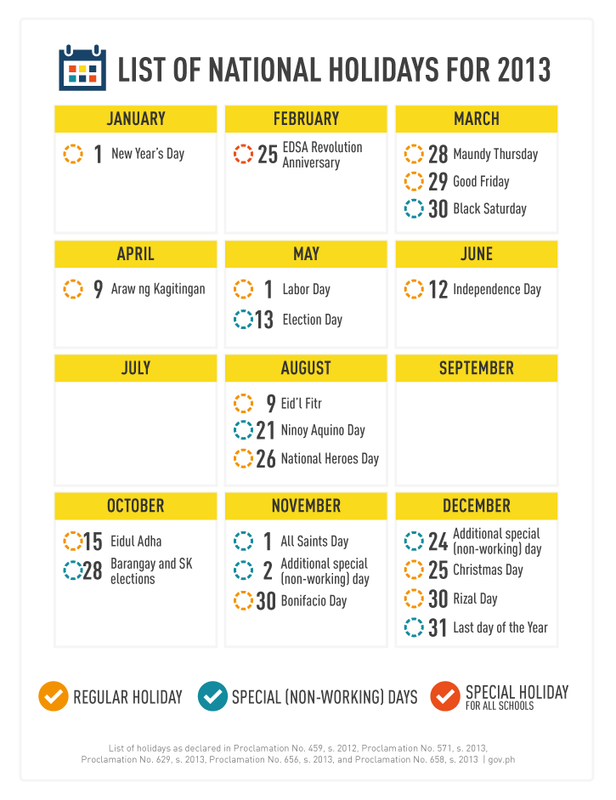 Here's an updated list of 2013 National Holidays which now includes the holiday celebrating Eid'l Fitr, the Feast of Ramadhan, as declared by Proclamation No. 629, s. 2013.